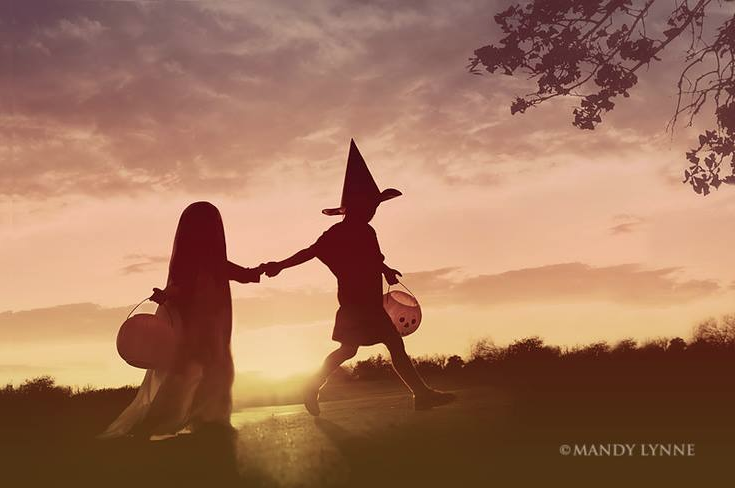 Trick or treaters at Halloween temporarily replace their identities with those of monsters or demons. These costumes absolve them of responsibility for acts of vandalism. Trick or treating is an ostensibly innocent act. The occasion of Halloween seems to permit behaviour that would otherwise be unacceptable. This is the only time of the year when it is acceptable for children to accept sweets from strangers, and to play pranks on those who do not oblige. It is not just the date that makes this behaviour permissible, but the costumes. Clothes define a persons’ role, and invite expectations about their behaviour. In everyday clothes, we are retrained by a social contract that only permits polite and courteous behaviour. A costume, however, is an “open proclamation of departures in behaviour”. A Halloween costume “announces that the wearer is stepping out of character and into a new constellation of imagery or unusual social relationships”. 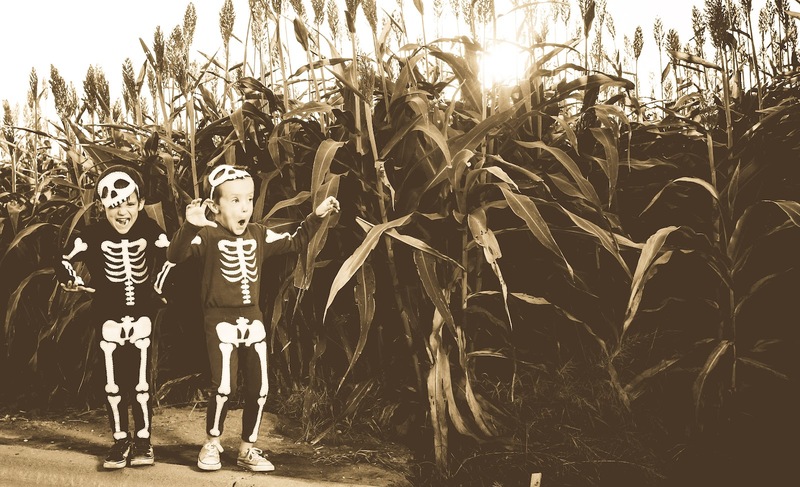 Dressed as a wicked witch or whimsical skeleton, we are permitted to do things that might otherwise be unacceptable. Halloween costume is a licence to act outside the law, by transforming acts that might otherwise be perceived as vandalism into apparently harmless pranks. Trick or treaters might throw eggs at cars and windows, coat lawns in flour, or drape toilet paper over hedgerows. Since these ‘tricks’ are performed in costume, they are not perceived as criminal damage, but merely as a mild nuisance. This happens because a costume is a tool of deindividuation. By “removing personal identification” costumes also remove “personal responsibility”, and provides a “shield from one’s own morality”. This is particularly the case when someone is part of a costumed group. At hen parties, for example, a bride-to-be and her friends will dress up according to a set theme. These costumes create a bond between the members of the group, much like a uniform. This deindividualises the members of the group, and they are seen as acting as a single drunken mob, entitled to be more rowdy than if they were partying in their usual clothes. Likewise, in the notorious masquerade balls of the eighteenth century, the mask enabled escape from moral integrity. At a masquerade ball, party-goers would engage in sexual liaisons that would otherwise be forbidden, as if the masks had given them licence for deviance. What differentiates Halloween costumes from these other decorative masks is that they are ghoulish; the scarier the better. This aligns them less with other fancy dress, and more with the ritual wearing of masks in religious and shamanistic traditions. It is the case in ritual, including common festival practice such as Halloween, that demon masks are used to ward off evil rather than invoke it. Ghoulish masks are seen “to provide protection from unseen evil”. On All-hallows night, when demons and spirits were thought to roam the earth, costumes were originally worn to protect the wearer from possession. It is vital to note that the wearer of a Halloween costume is never perceived as having entirely transformed into the demon or monster that the costume represents. Rather, he or she is viewed as a kind of human/beast hybrid. Images depicting animals or mosters with human characteristics, and hybrid animal-human beasts, were a staple of ancient religion and mythology. Sometimes, they were deities, like Bastet, the feline goddess of Ancient Egypt, and at other times they were the monstrous product of animal/human coupling, like Ancient Crete’s Minotaur. The duality of this fusion of “human and the non-human” can be frightening, or at least unsettling, drawing attention to humans’ desire to perceive themselves as distinct from the animal kingdom, and discomfort at anything that spans that divide . These historical animal-human hybrids had a special power and allure. Often, worshipers would present offerings to placate the beast, and to prevent its animalistic nature taking over from its more civilised human side. Offering food to trick-or-treaters has much the same effect. We appease the human side to prevent the mischievous alter-ego from taking over. Although the presence of a real demon, ghost or ghoul on our doorstep would be enough to make us bolt the doors and barricade the windows, the human/monster hybrid is far less threatening. In treating these visitors, we seek to please the human who is hidden underneath the costume. This human seems worthy of our kindness, and by keeping him or her fed we prevent the emergence of the demonic alter-ego that might perform a ‘trick’. It is as if the treats are for the human, but the tricks are performed by the demon. By presenting themselves as a human/monster hybrid, trick or treaters appear to have the potential to give in to evil urges, but also to be retrained by human culture. They have the potential ferocity of a beast, but also the civility of a human. This reassures those who provide treats that they will not be the target of a trick, provided they appease their costumed visitors. Joseph, N., Uniforms and Nonuniforms: Communicating through clothing, New York: Greenwood, 1986, p. 184. Tseelon, Efrat, ‘Reflections of Mask and Carnival’, in Masquerade and Identities: Essays on Gender, Sexuality and Marginality, London: Routledge, 2001, 31. Castle, Terry, Masquerade and Civilization: The Carnivalesque in Eighteenth-Century English Culture and Fiction (London: Methuen, 1986), 2. Bedeian, Ruth, Ritual, Symbolism and Imagery in African Masks, 2. Bahun-Radunovic, Sanja, ‘The Ethics of Animal-Human Existence: Marie Darrieussecq’s Truismes’, in Myth and Violence in the Contemporary Female Text: New Cassandras, Sanja Bahun-Radunović, V. G. Julie Rajan (eds), Farnham: ashgate, 2011, 69. My interest in Costume & Culture arose as an extension of my research at the University of Hertfordshire, where I have been a contextual studies lecturer since 2004. A key source of interest for me is that studies in fashion frequently draw upon issues of identity. Identity is fluid, and dressing is a matter of identity construction. Clothing is the means by which we create and express our sense of self. The wearing of clothes provides us with an opportunity to transform ourselves: to appear smarter, thinner, cuter, richer, more mysterious. While many clothes announce our identity, others replace it with one that is false or incomplete . This separation of costume and self is a theme that runs throughout this blog. As my previous posts have shown, clothing can be viewed as a mask and a fiction. It conceals the reality of the body beneath. Catherine Davies proposes that costume can provide a ‘shield from one’s own morality’. It becomes a vital tool in deindividuation by ‘removing personal identification’, and consequently also removes ‘personal responsibility’ . In the notorious masquerade balls of the eighteenth century, the mask enabled escape from moral integrity . For children in Halloween costume, it absolves them of responsibility for their mischief. There are costumes that move beyond deindividuation to dehumanization, removing not only personal identity but also its most basic components – those that make us human. These are costumes modelled on inanimate objects, which strip the wearer of any aspect of ‘humanness’. Dressed as inanimate objects, couples in white interlock in imitation of a plug and socket; teenage friends wrapped in rainbow colours line up like a row of Crayola crayons; Katy Perry presents herself onstage as a fried egg. We can also find references to inanimate objects in surrealist fashion. However, there is an important distinction to be made between garments that feature objects as ornamentation, and those that fully adopt an inanimate identity. Alexander McQueen’s skull-print scarf did not present the wearer as a skeleton. Agatha Ruiz de la Prada comes closer to objectifying her catwalk models. 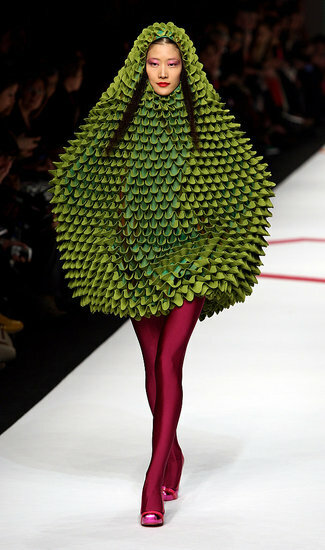 Her F/W 2009 collection featured a garment in the shape of a durian. In these costumes, wearers are dehumanised; apparently stripped of elements of human identity. Inanimate objects have no self-awareness or self-expression. This is perhaps what makes such costumes liberating. Humanity carries with it huge risks and responsibilities. If we have personality, we are at risk of being disliked. If we have free will, we risk making the wrong choices. By temporarily escaping our human identity we also escape the burden of responsibility that being human entails. While we are in costume, we are unaccountable for our actions. 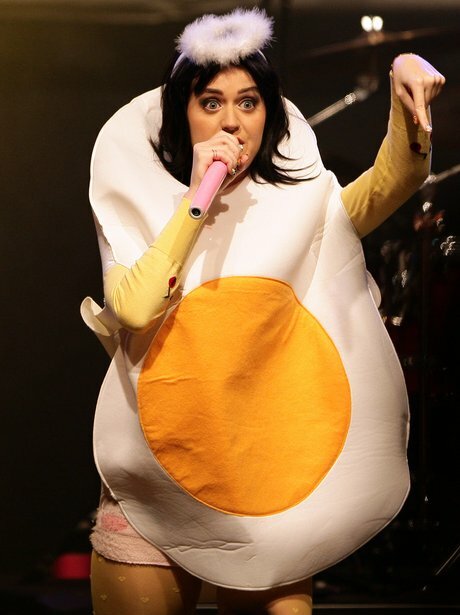 Dressed as an egg, Kerry Perry can be as silly as she likes. She is free to defy expectations. Miller, Kimerlya, Jasper, Cynthia R, and Hill, Donald R. ‘Costume and the Perception of Identity and Role,’ Perceptual and Motor Skills Vol.72, Issue 3 (1991), pp. 807-813, 808. Castle, Terry, Masquerade and Civilization: The Carnivalesque in Eighteenth-Century English Culture and Fiction (London: Methuen, 1986), p. 2. Perhaps because it is seen as an extension of the frivolities and vanity of fashion, or perhaps because it is associated with children, dressing-up is a niche activity for men. Very few adult men engage in dressing-up, even on sanctioned occasions such as Halloween. However, a new generation of men are becoming more engaged with costume. ‘Costume play’ is seeing an increase in popularity, largely in the virtual world. In multiplayer online games (RPGs such as World of Warcraft) the dressing and preparation of the avatar is a significant part of the player’s gaming experience. Janine Fron et. al observe that male gamers devote a lot of time and effort into developing their costume, justified by their use of terminology such as ‘gear’ rather than ‘costume’. Such terminology suggests that the avatar’s wardrobe is primarily a matter of function rather than style. Moreover, it is quantifiable. One choice of armour may offer more effective defence than another, enabling players to “treat the costume as a statistic more than a decoration or form of personal expression”. These gaming experiences “may also serve as an entry-point for men into dress-up, for whom its convergence with technology may dispel some of its more feminine connotations”. If costume can be justified as a functional object, particularly in that is associated with the very masculine act of combat, it can be distanced from feminine acts of vanity, and childish acts of play. The notion of costume as functional object has also made the practice of dressing-up more acceptable to mainstream cinema audiences. Contemporary audiences find that the lycra unitard of Adam West’s TV Batman lacks masculinity (to the extent that articles point to homosexual overtones). Christopher Nolan took great pains to justify Bruce Wayne’s costume in his more recent cinema incarnation. 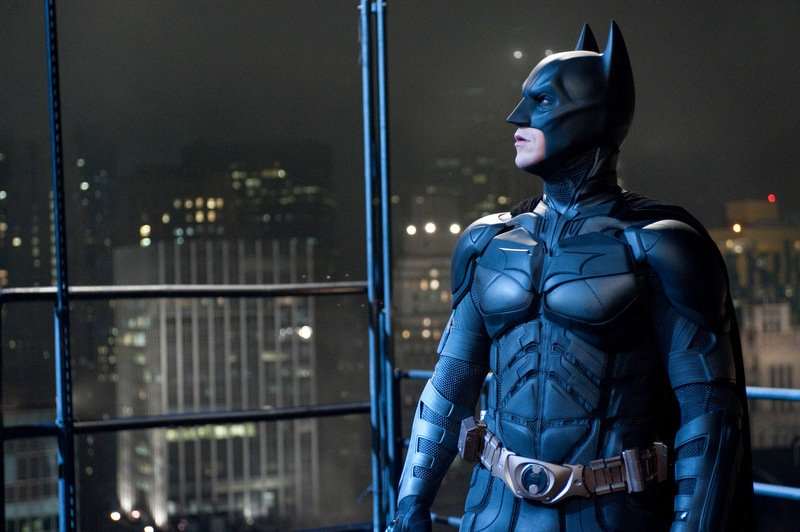 The Dark Knight (2008) depicts the Batman costume as “pseudo-utilitarian”. Lucius Fox, Batman’s equivalent to Bond’s ‘Q’, is employed in technical development. His role as innovator and curator of Wayne Enterprises’ vast collection of military technologies ensures the feasibility of an endless supply of new gadgets, many of which form part of the costume. In the real-world too, association with battle gives dressing up a masculine purpose. 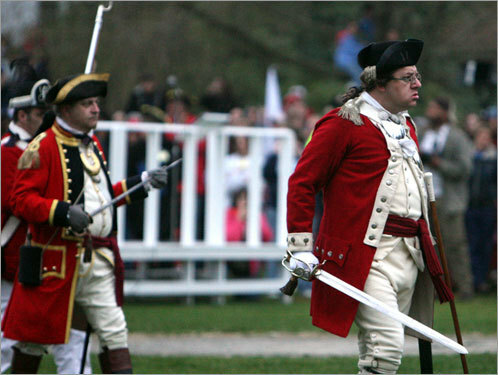 Battle re-enactment provides men with the freedom to dress-up, combined with the restrictions imposed by authenticity. Such strictly regulated scenarios avoid the free improvisation of childsplay. There are sets of rules governing how the costume may be worn, dictated by the demand for historical accuracy. The act of dressing-up takes on mature and masculine associations with war and rule-making. Daniels, Les, Batman: The Complete History. Chronicle Books, 1999, p. 84. Chabon, Michael, ‘Secret Skin: An Essay in Unitard Theory,’ in Superheroes: Fashion and Fantasy, New York: Yale University Press, and the Metropolitan Museum of Art, 2010, p.18. Fron et al., Op. Cit. James Bond is a man of expensive taste. His tailored suits and Omega watches reflect a kind of elitism. He presents himself with an air of confidence that is unattainable to most, and that suave sophistication is a hallmark of Bond in every incarnation. It makes women swoon, and men envious. It also presents a problem. As a spy, Bond must occasionally go undercover. He must don a disguise, and eliminate everything that makes him 007. Fashion is typically aspirational, reflecting a desire to imitate those of higher socioeconomic status. Bond’s wardrobe is no exception. The character dresses in a way that would stretch the pay-packet of any civil servant. His wardrobe is designed less for practicality than to invite admiration. This is useful when his goal is to bed a Bond Girl, or attract the attention of a mastermind villain across the floor of a casino, but useless when he needs to infiltrate a secret lair or blend into a crowd. These are occasions on which it is desirable to use costume to reduce status, and to perform a masquerade of normalcy. Bond must abandon all outward indicators of individuality and status: to perform ordinariness. Bond’s disguises have ranged from the obvious (a chauffeur in Skyfall), to the absurd (a Japanese fisherman in You Only Live Twice). Bond is not alone in requiring trans-status disguises. Bond villains with often use the same tactics to evade capture, including most recently, Skyfall’s Silva. After escaping from MI6’s temporary underground headquarters, Silva achieves anonymity on the London underground in a police uniform. Fictional spies are not, of course, the only people who have a reason to conceal their identity and status through costume. Dressing down is core to experiments in “trans-status disguise” , a practice that flourished in the late nineteenth century social experiments, and is still vital in more recent journalistic practices such as those employed by Polly Toynbee. In 1890, Jacob Riis published How The Other Half Lives, a taxonomy of class structure which included notes on “bodily signifiers” of class, most notably, costume. In his text, Riis invited readers to covertly “be with and among [the] people [of lower socioeconomic status] until you understand their ways” with the aim of encouraging greater trans-status empathy. There then began a trend for articles in British and American periodicals that featured the observations of “middle-class [reporters] who briefly lived ‘working-class’ lives”. The accounts of these writers reveal dress as core in the construction of a trans-status disguise. In 1903, Jack London expressed surprise at how remarkably attitudes towards him changed when he donned a frayed jacket. The jacket, he noted, became a “badge and advertisement of [his perceived] class.” By “vesting [him]self in class-specific apparel” he invited observers to make assumptions about his socioeconomic status, and in so doing created opportunities to “move freely” among social groups that had formerly viewed him as an outsider. These journalists and sociologists cloaked themselves in a “signified cloth granting liberation and opportunity”. The clothes reduced their status, masking anything remarkable about their profession or prestige, and they found themselves empowered. The disguises gave them a peculiar power of normalcy and anonymity, which allowed them to partake in activities that were previously out of their reach. For Bond, anonymity grants the freedom to watch without being watched back. As an anonymous member of a crowd, Bond is able to get much closer to the action without being noticed until he chooses to make his move. Dressed as a faceless henchman, he is able to infiltrate the most secure depths of a villain’s lair. Hyland, Peter, ‘The Performance of Disguise”, Early Theatre, Vol. 5 (1), 2002, 77-83. See Toynbee, Polly, Hard Work: Life in Low-pay Britain, London: Bloomsbury, 2003, a record of the experiences of journalist, Toynbee, who spends a period living and working on minimum wage in order to expose the difficulties encountered by those of lower socioeconomic status than herself and her readers. Schocket, Eric, ‘Explorations of the ‘Other Half,’ or the Writer as Class Transvestite,’ Representations, 64 (1998), 112, 118. London, Jack, People of the Abyss, 1903, cited in Schocket, Eric, ‘Explorations of the ‘Other Half,’ or the Writer as Class Transvestite,’ Representations, 64 (1998), 119. Fhlainn, Sorcha Ni, ‘Our Monstrous (S)kin: Blurring the Boundaries Between Monsters and Humanity’, in Our Monstrous (S)kin, ed. Fhlainn, Sorcha Ni, Oxford: Interdisciplinary Press, 2009, 9. My husband is preparing to attend a fancy dress party. He will be going as Ace Rimmer, an alternate-reality space pilot from the TV series, Red Dwarf. I won’t reveal how much he has spent on the costume except to say that it is more than I would spend on a party dress. He has spent several weeks sourcing the various components of the costume. It’s crowning glory is a genuine military bomber jacket. It is not unusual for my husband’s colleagues to go overboard with their fancy dress, but their wardrobes pale in comparison to the attire on parade at Comic-con. Pop-culture fans come together annually in San Diego to share their passions, and to express them in part through costume. Exclusivity is a central theme of the event. Memorabilia manufacturers and publishers make goods exclusively available to attendees; production companies reveal new, previously unseen footage from upcoming films and shows; fans display their custom or limited-edition costumes. An authentic, branded costume is comparable in price to an haute-couture dress. It is not unusual for a costume to set a fan back hundreds or even thousands of dollars. Even in Britain, where we have no equivalent event on the scale of Comic-Con, a replica Judge Dredd costume retails for close to £2000. These excessive price tags quantify a fan’s devotion to their favourite fictional character, and turn fandom in to exclusive club that invites only members who can demonstrate tangible commitment. The cultural artefacts on display at Comic-Con typically originate from twentieth- and twenty-first century media. Extravagant cosplay, however, has a longer history. Late 19th century masquerade balls and costume parties were notorious for their excess. In the 1880s New York, W. K. Vanderbilt’s annual fancy dress balls were the talk of the town. Her 1,200 guests explored their fantasies of aristocratic heritage in costumes modelled on historical dress of the French court and British monarchy, and were so concerned with authenticity that the balls became a kind of window on history. Every minute detail of the attendees’ costumes was copied from historical portraits. Guests masqueraded as Henry VII, Elizabeth I, and Marie Antoinette, among a parade of other memorable (or notorious) figures from the European past. Mrs. Vanderbilt herself dressed in imitation of a Venetian Princess, as depicted in a painting by Alexander Cabanel . At least twenty of her guests suffered the unfortunate faux-pas of coming as the same character, Louis XVI. 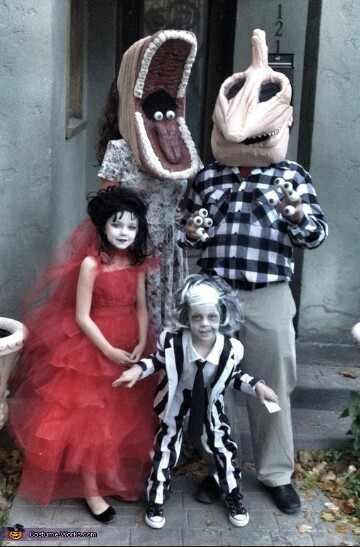 What was most remarkable about these costumes was the extent of authenticity. In many cases the garments and accessories they wore were not merely copies, but genuine historical artefacts. Alva Vanderbilt’s costume was adorned with pearls that had once belonged to Catherine the Great. At her own ball, Cornelia Bradley decorated her dress with jewels worn by Marie Antoinette . Even where the costumes were copies, no expense was spared in recreating garments in their minutest detail. It is noteworthy that these parties took place in New York, not Paris or London. New York society was populated by people with a very short family history. The guests were people with no genuine claim to aristocratic ancestry. Emilia Müller proposes that their costumes were an attempt to justify their status. The guests sought to erase the negative connotations of a nouveau riche lifestyle, replacing them with a more respectable suggestion of lineage. By emulating European nobility, they aligned themselves with acquired status, rather than achieved status. They sought to “legitimize themselves as the economic ruling class” by “buying history”. These closed worlds of New York society and comic-book fandom take opportunities to reinforce internal social bonds, while emphasizing difference from the outside world. Costumes are indicators that they are members of an exclusive club. By making those costumes rare or expensive, they reduce the possibility of interlopers: those without the money or passion to acquire ‘genuine’ artefacts. W. A. Croffut, The Vanderbilts and The Story of Their Fortune, Kessinger, 2003.